New York: This is My City! (USA) On the commemoration we celebrate the birth of a great man, Dr. MLK a man who with grace, passion, determination, compassion and perseverance. He represented what makes our City a great City although one in need of Peace. The painting "Bridges! to the island city of New York! "carry dreams and dreamers. In the painting the bottoms of buildings bordering the painting’s top, tops bordering the bottom, the skyline of New York turns us around and around. Like a monumental illuminated page from the left side of a special manuscript, New York: This is My City! is bordered on three sides: the view is from Midtown looking east, with references to the more than forty-five buildings from Thirty-fourth to Fifty-ninth Street that are all taller than six hundred feet! Celebrating the city as a beacon of liberty, the painting honors its residents in concept and content. In how many languages can we say “New York This Is My City” 31 languages…and counting. Part of the Cities of Peace series of paintings, 9 in total. This is the next work to visit the lobby of another ABS Partners RE lobby@19 Union Square West. Bridges! to the island city of New York! carry dreams and dreamers. With bottoms of buildings bordering the painting’s top, tops bordering the bottom, the skyline of New York turns us around and around. Like a monumental illuminated page from the left side of a special manuscript, New York: This is My City! is bordered on three sides: the view is from Midtown looking east, with references to the more than forty-five buildings from Thirty-fourth to Fifty-ninth Street that are all taller than six hundred feet! January 25th Ellen Frank will be in Aushwitz next weekend for the 70th anniversary of the release of the Jews. The Cities of Peace Project was conceived of and is directed by Ellen Frank, Ph.D, EFIAF's Artistic Director, who brings her accomplishments as scholar, writer, and artist to the work, Dr. Frank's many awards in painting, book design, and scholarship include Fulbright and Ford Foundation fellowships, and grants from the National Endowment for the Arts, Pollock-Krasner Foundation, New York State Council on the Arts, and New York Foundation for the Arts. Ellen Frank studied art history at Yale University and holds an interdisciplinary doctorate in English Literature and the Visual Arts from Stanford University. during "ABM" and satellite fairs for more or less the same rigmarole. Here is a preliminary list to help you find your way if you venture South. Interviews with artists and gallerists at Silicon Valley Art Fair. 270 Madison Ave. Installation: Alex Cao's, "Elvis vs. Warhol"
The artist, Alex Guofeng Cao's large scale, "Elvis vs. Warhol" is part of his "Icons vs. Iconic Legends" series, especially fitting for 270 Madison Avenue. Most timely with the recent sale of Andy Warhol's, "Triple Elvis", which broke a world record of $81.9 million at Christie's Auction House. Alex's appropriation of Warhol's, "Triple Elvis" was made specifically for this site and both of the canvases are an Edition of 5. Alex Cao is of Chinese descent. He is greatly influenced by US pop culture and enjoys studying eastern and western philosophy and history. Many of his works have double meaning through cultural and historical references, often with a touch of old-fashioned Hollywood glamour. Alex's canvases and sculptures are comprised of a mosaic of images or "virtual mini pixels" that compose the larger portrait. and to those less fortunate. 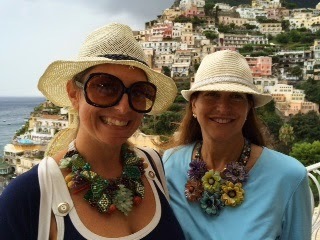 For the BACP team and partners including our friends at ABS we had several challenges. 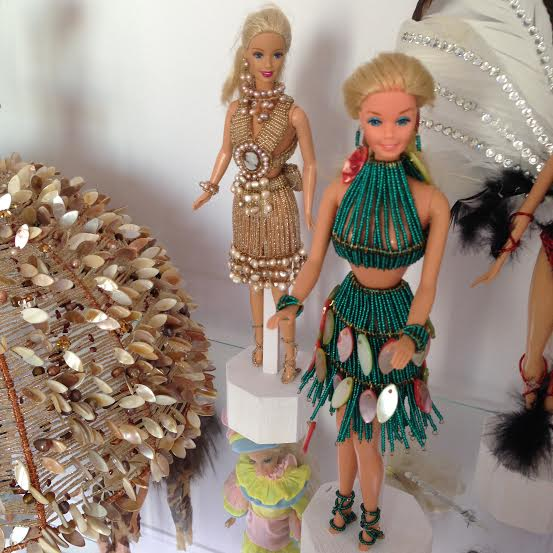 the gallery tenants and also give the visitors something they can appreciate. my decision in partnering with Arts Connection in celebrating the talents of teen artists. conflict and ruffle the feathers of the gallery/owner tenants was an obstacle. 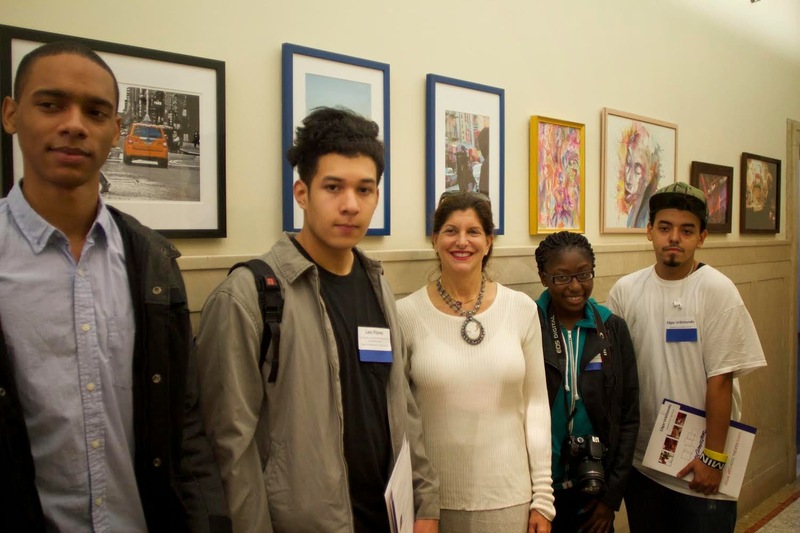 RAM was eager to give young artists this opportunity and BACP saw an opportunity to create a connection by partnering up with ABS's lobby and the Arts Connection's Student Art Program. 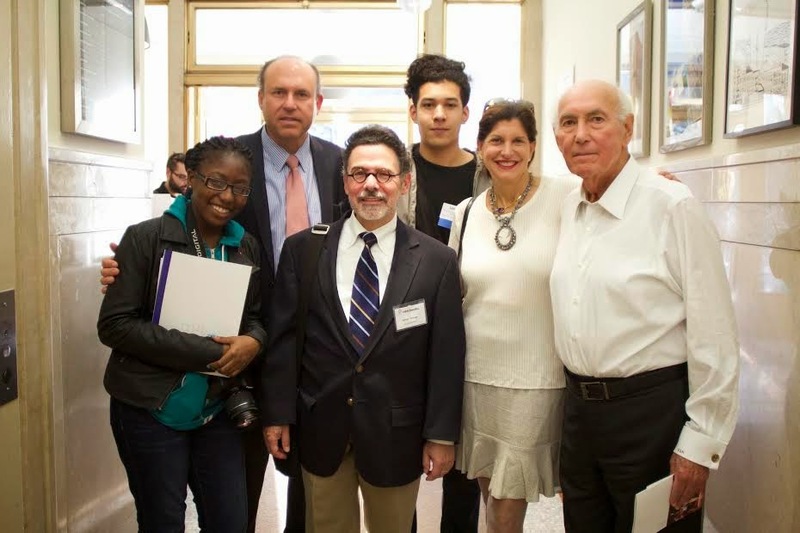 BACP curated an exhibition that showcased work by students in grades 6-12 from New York City public schools expanding their art experience beyond the classroom into a lobby group exhibition. There are 50,000 students a year that are engaged in the different Arts Connection's programs. 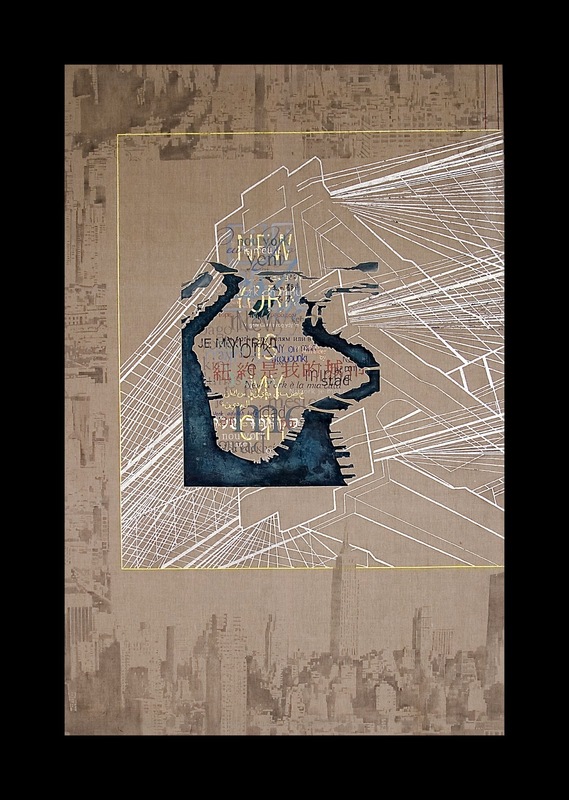 The curation, Reflections of New York is kaleidoscopic view of NYC by teen artists from New York City Public Schools. 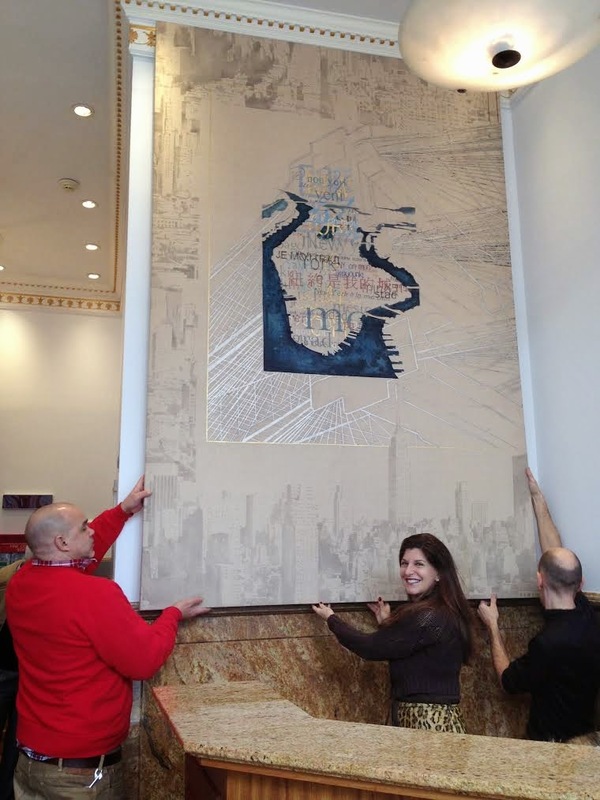 The lobby exhibition was curated and coordinated by the Building Arts Curatorial Program (BACP), whose aim is to match commercial building owners, collectors, and tenants with established arts organizations, young, emerging and mid-career artists. The exhibition’s opening reception was at Leila Heller Gallery. 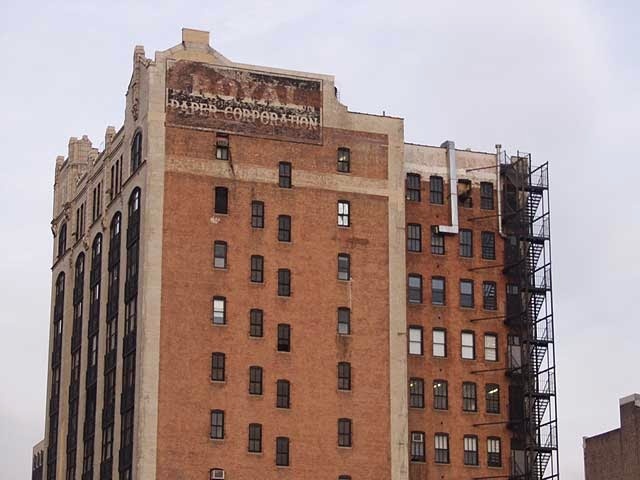 Included appearances from Earle Altman, Gregg Schenker, Joe LaRosa of ABS Partners Real Estate. Rachel Lee Hovnanian had a solo show and we organized a reception hosted for Arts Connection, and most importantly the 12 lucky teens. Award recipients and their teachers and principals from 6 NYC public schools. 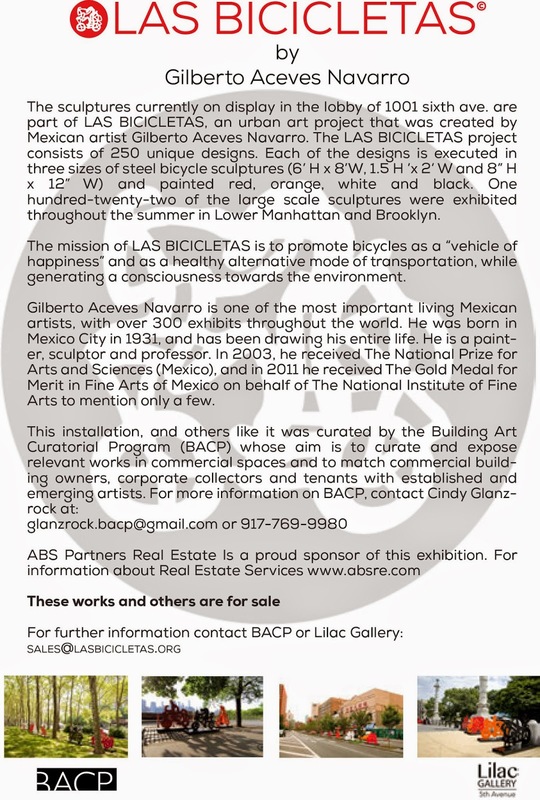 ABS Partners Real Estate is honored to be a part of this initiative coordinated by BACP and ArtsConnection with special thanks to ABS for sponsoring this exhibition of student artwork in the lobby of 210 11th Avenue in Chelsea, NY. 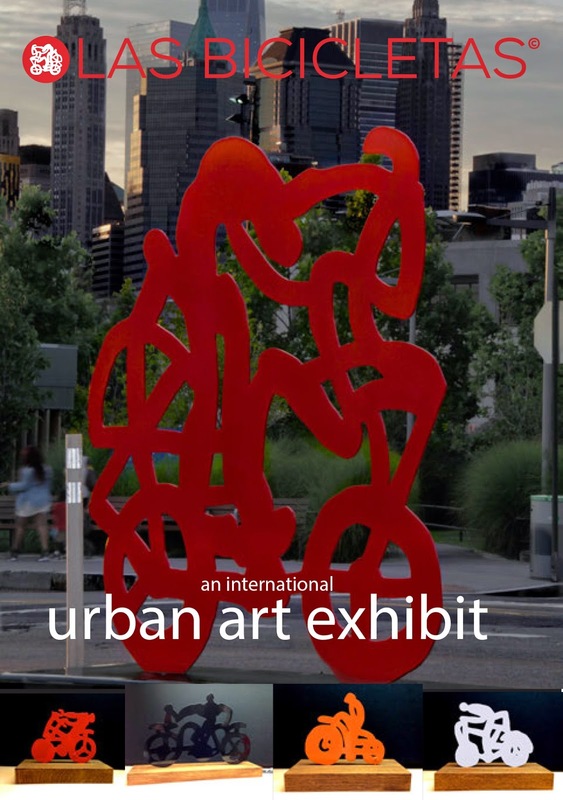 We invite you to come visit the lobby exhibition on 25th street and 11th. The student's art work turned an empty lobby into a fulfilling experience for all parties involved, without taking away from the professional nature of the building and the gallery tenants that fill it. 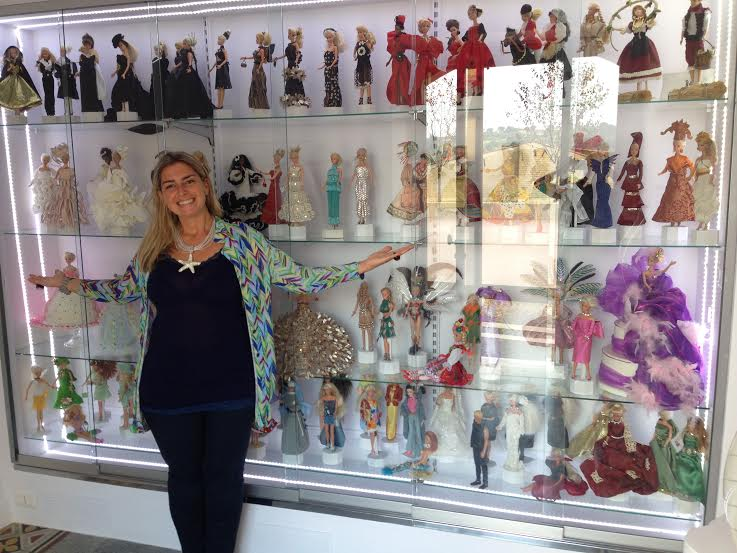 IN MARBELLA ECLANO, ITALY IN ROSITA'S ATELIER WITH HER BARBIE COLLECTION- EVERYONE IS A WORK OF ART - MAGNIFICO! 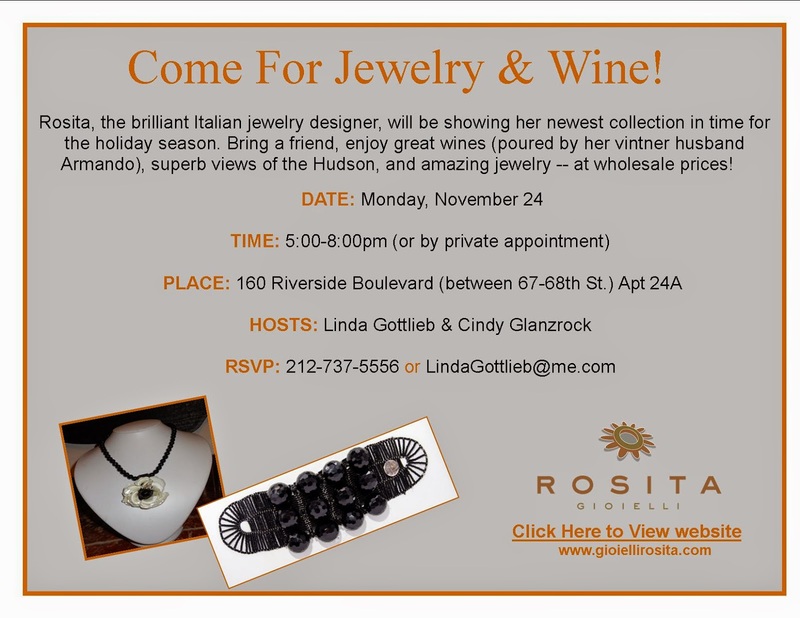 Join Us Monday November 24th for Jewelry & Wine! 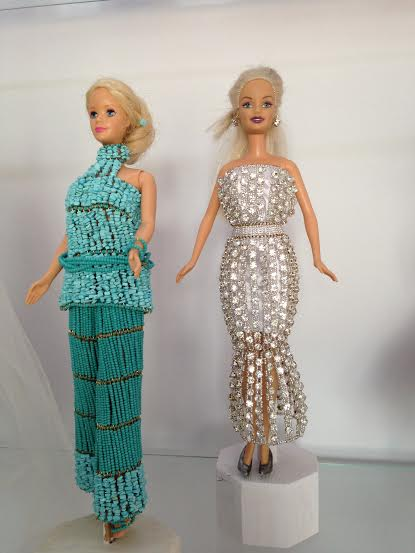 You're invited to meet the talented designer, Rosita who is in NYC for the next week showing her newest collection. Bring a friend, enjoy great Italian wines and appetizers -I hope to see you there. Pick something out for the Holidays or just because you deserve something beautiful, special and handmade. RAM's next BACP installation at 270 Madison is keeping Andy Warhol's spirit alive. 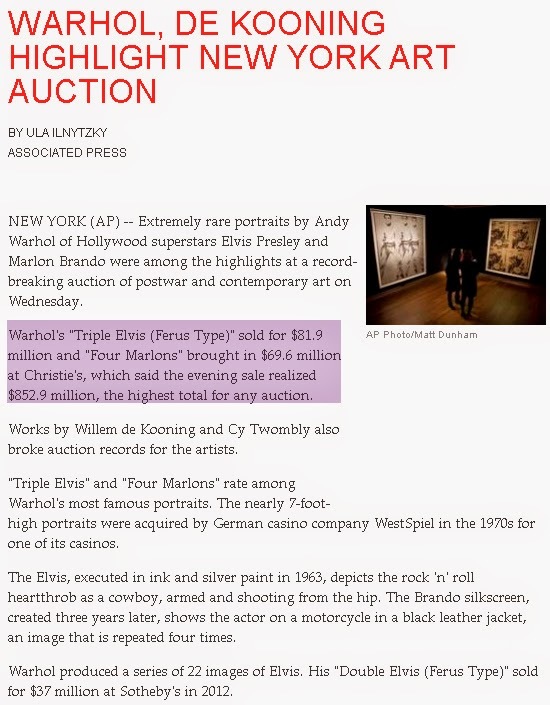 Warhol's original Elvis piece was just sold at auction for $82 million, contributing to an $852.9 million auction total. Below is a screen shot of the story in the Associated Press written by Ula Ilnytzky. "RAM is on the run AND on the money"
What "they" are saying about it.....please, read for yourself. 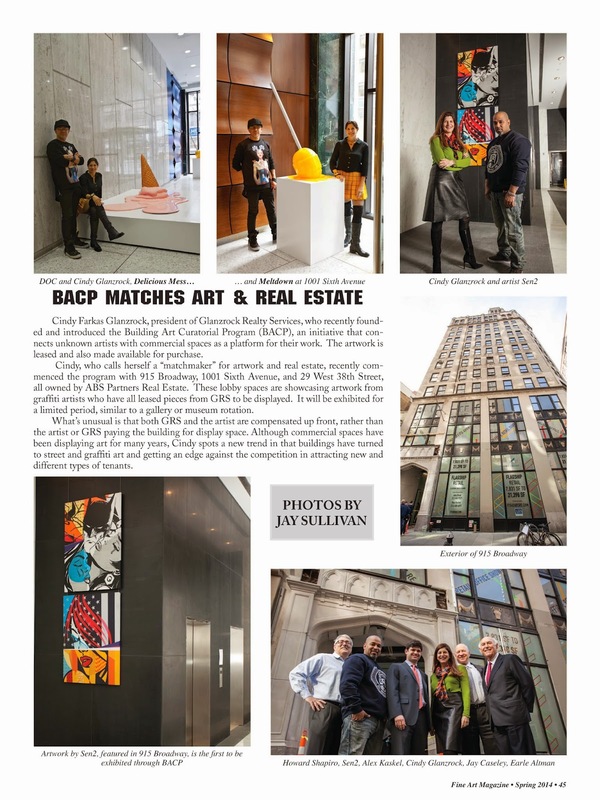 BACP is a way to access art affordably and not permanently that creates a cultural, engaging, entertaining and tasteful experience in commercial building lobbies. other works by the artist. Term of the lease ranges, with an option to renew. The art is replaced or rotated out at the end of the term. BACP handles the lease negotiations, term, insurance and the coordination of all the logistics, including the transportation, installation, marketing, publicity, displays and educating/training the staff about the art and maintenance. email to the tenants the information about the artist. and interviews, if they so wish. and Unix Gallery, NYC and Miami who represents DOC- "Desire Obtain and Cherish"
When I was walking into The Armory Show on Wednesday afternoon --- the first thing you see as you arrive at Pier 92 is the large Pommery champagne bar and a Design in Reach pop up lounge. I wonder what they paid to be allowed to sell their bubbly (at $19 for a plastic flute) and to showcase their Black furniture? gallery placed their name with the list of greeters at the door. To the right is the coat check, the Uber desk, and a jam packed VIP lounge where I waited in line to buy an espresso before I hit the art fair floor. 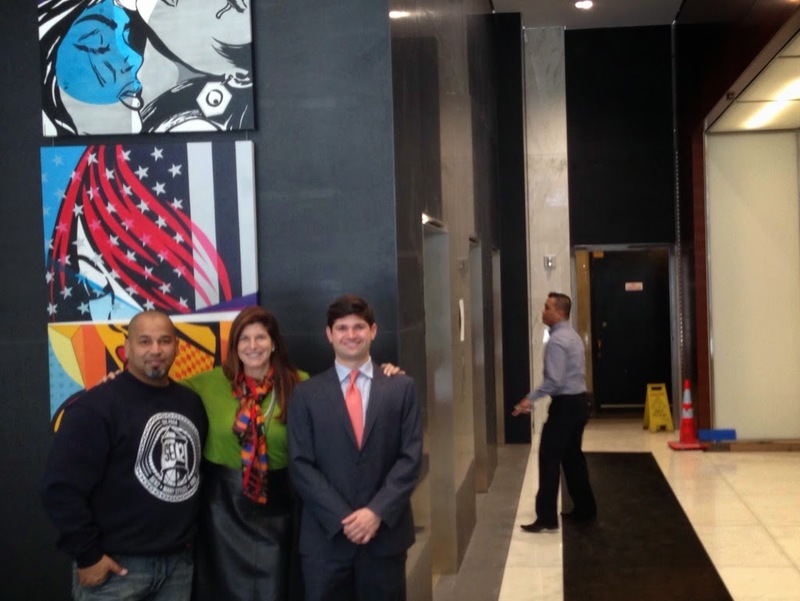 Hotel Americana of Chelsea was there feeding the hungry and thirsty art enthusiasts. The lounge is filled with Roche-Bobois furniture, however the cushion/chairs were so low to the ground you had to do a deep knee bend to sit. Terrie Sultan's friend and Director of NYU's Grey Art Galley, Lynn Gumpert decided to take a pass when I offered my cushion. The Artsy app is featured at a number of big NYC art fairs, like The Armory Show. Now about ARTSY. Artsy staff were tactically placed at The Armory Show near the entrance. I was watching the action around their computer displays (their phone chargers all being used, connected to their computer terminals). I closely followed an up to date board that quickly flashed artists and gallery information. Anyone can download the Artsy App and start commenting and following the galleries and artists -- like Artsy's version of "Letterman's Top 10 list" for the art fair world. Michelle Finocchi, who is in charge of PR and communication for ARTSY was at The Armory Fair and walked me through and explained to me about the their special Genome technology and Why ARTSY it is making such an impact for all their different users. The last two times I saw Artsy was at the Nada (new art dealers alliance) fair during Art Basel Miami where they had a similar set up as you entered the Deauville Hotel with Artsy proudly displayed in the lobby. Artsy has their name attached to over 18,000 artists and 200 Museums and also promoting there resources through museum openings such as the James Turrell exhibit at the Guggenheim in December 2013. Thursday when I went to RSVP for the Unix Gallery opening for artist DOC (Desire Obtain and Cherish) I saw Artsy was on the invite and found out how galleries subscribe. "Artsy" helped me virtually browse through an art fair, letting me see details surrounding a work of art and other works that have a similar look and feel (The Pandora for ART). Besides, I could look at what certain pieces sold for. Indeed, a helpful and useful tool! As I tour the NYC fairs this week, Artsy continues to add partners and promote itself (in a bigger and hopefully better ways). Besides The Armory Show ARTSY has partnered with ADAA and the Whitney...and the list goes on and on and on. 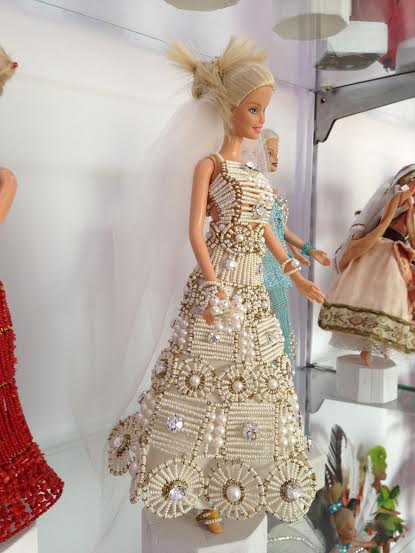 As a mobile apps that is an artfull resource for collectors and for art enthusiasts on the web, it ranks right up there. There are quite a few other apps and online resources that have similar and unique purposes. And, I am sure there are more art Apps in the making! For comparison and exposure a few others I have used and believe are worth you checking are Collectrium and Artspace. Michelle Finocchi, head of communication at Artsy, showing off the new app. Besides my own insights, I enjoy musing about what other are using, sharing, and seeing in this overwhelming art world. Art apps gives me the ability to find emerging artists, exhibitions and track them. Since I work for building owners and potential collectors, finding new work, themes, trends is helpful. Carter Cleveland, founder and CEO of Artsy, said "this is (was) the first time such a large selection of artworks from world-renowned institutions, museums, foundations, private collections has been made available to the public all in one place." Artsy was launched in September 2012 for the iPhone and iPod, it allows users to browse and buy art from leading institutions around the world. You can put art on a virtual wall and see its actual size. The free Artsy App describes itself as "the art world in your pocket" featuring more than 100,000 high-resolution artworks, 10,000 artists, 200 institutions/foundations updated daily. They are featured from leading contemporary galleries, art fairs and museums from around the world. It features aspects of a social media network, allowing users to sign up to create a profile (like Linked In), select artists to follow (like Twitter), Invite friends, an opt-in to get "push" content updates on new content, new "for sale by artists" being followed, and alerts when you get new followers. 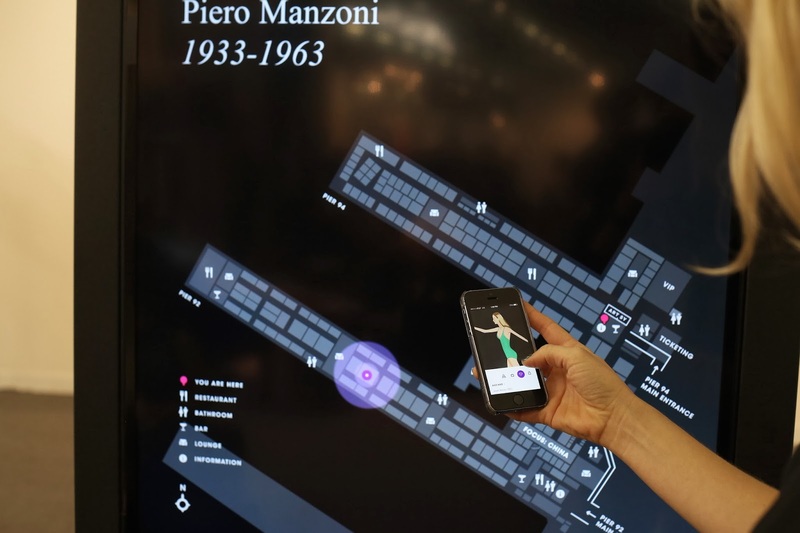 Collectrium's sleek mobile app is great when touring art fairs. Collectrium is a resource which keeps track of art for collectors and institutions. In speaking with Mitchell, head of marketing at Collectrium, their company has a vision of an interconnected art world. 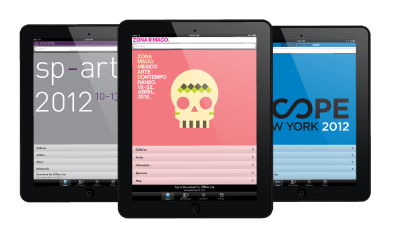 They had developed specialized apps for the Nada ArtFair in Miami and ArtHamptons. Collectrium has partnered with some big fairs, like NADA in Miami. Started in 2010, Collectrium is available allows anyone -- art fairs, collectors, and galleries -- to setup an account and start a catalogue of their entire collection. Art fair curators can manage registrations, press releases, and catalogs with the Exhibitor Resource Center. Their app works at fairs and gives attendees the ability to quickly locate specific exhibitors or artwork with an interactive map, accessing detailed information about any artwork at the fair.Their app is featured at shows like ArtHamptons. Well, according to the Collectrium folks, their app is the #1 iPhone app for art fairs, #1 mobile art discovery tool for collectors, and #1 contemporary art network. A Division of GRS | Glanzrock Realty Services © 2015. Powered by Blogger. Our site has moved! Please visit the new site by clicking here. I bring fearless determination and a joie de vivre to all of my professional and personal pursuits. My curiosity and adventuresome spirit comes through in every encounter, from visiting art shows in the US, Europe and Asia to consulting on commercial and mixed use real estate deals in NYC and the Hamptons. I bring appropriate people together, who have complimentary goals, acting as a catalyst to allow them to help one another. I am drawn to aesthetic quality- whether in a person's work or in a work of art.